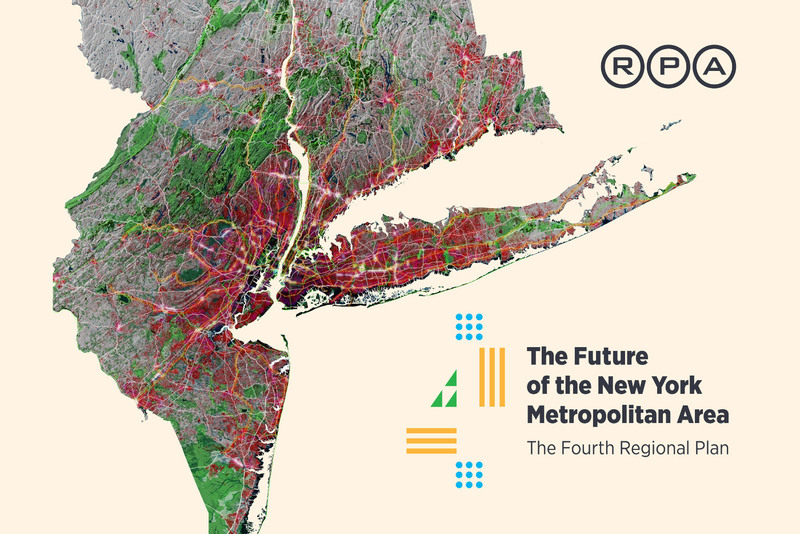 The nonprofit, nonpartisan Regional Plan Association (RPA) released its Fourth Regional Plan back in 2017, a 400-page prescription for a variety of problems facing the Tri-State New York metropolitan area. 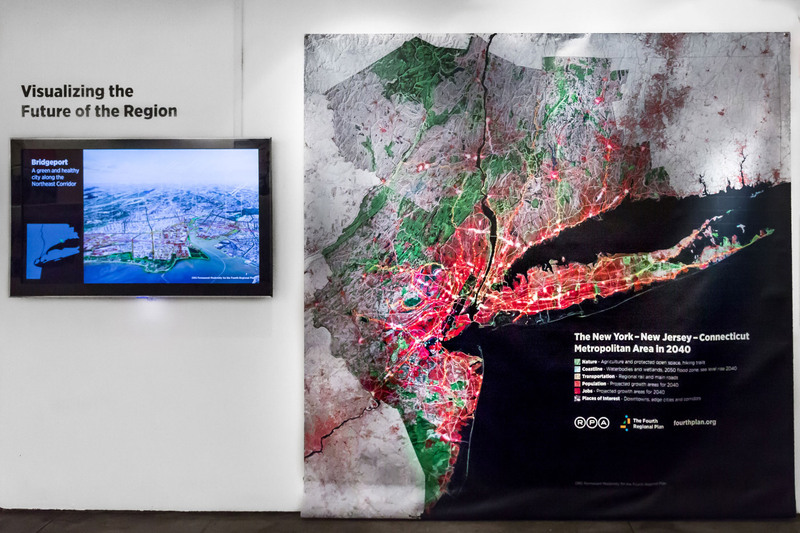 Now through November 3, visitors to the Center for Architecture can explore the RPA’s plans for increasing housing affordability, improving the region’s overburdened public transit, and addressing climate change by 2040. The Future of the New York Metropolitan Region: The Fourth Regional Plan exhibition at the Center breaks down The Fourth Regional Plan into four typologies: core urban areas, suburbs, local downtowns, and regional green spaces. Each section is further broken down to address affordability issues, the failure of policymakers to address problems in those regions, how climate change will impact each area, and how to best improve mass transportation. Both the problems themselves, as well as the RPA’s proposed solutions, are on display. The Four Corridors, an RPA-commissioned initiative that tasked four different architectural firms with reimagining different “corridors” throughout the region, is also on display at The Fourth Regional Plan. Rafi A+U + DLANDstudio proposed a “landscape economic zone” to protect the area’s coastal regions from flooding—a softer, living take on the traditional seawall; Only If + One Architecture proposed creating the Triboro Corridor, an accessible route from Brooklyn to Queens to the Bronx; WORKac wants to turn the Tri-State suburbs into denser, greener versions of themselves and create easy access between smaller towns; and PORT + Range proposed reinvigorating the area’s highlands into ecological buffers with varied natural ecosystems. Other than the show itself, the Center will host two accompanying programs. Creating More Housing without New Construction will take place on September 14 from 8:00 AM to 10:00 AM, and Designing the Future of the Tri-State Region will be held on October 29 from 6:00 PM to 8:00 PM.